Houseboats and the Thanksgiving Holiday! Have you been busy? Time just flies nowadays, and it seems like just yesterday that Halloween was here. Here at the site, there has been plenty going on. 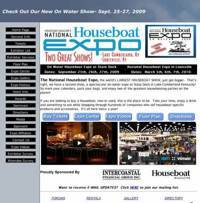 For those of you interested or planning, there's now two major houseboat shows coming. For some great news, Manon & I, have been chosen to be the Seminar Speakers at one of the shows. Manon and I want to wish all our USA readers a happy Thanksgiving holiday. We want to wish all our new readers a warm welcome, since this has been another exceptional month for Houseboat Insider subscriptions. We hope you enjoy this as much as we had putting it together. Another great month at the Houseboat Forums. Seminars at the International Houseboat Fest. Now for some great news, Manon and I have been chosen to present the Seminars being held at the International Houseboat Fest in Louisville, KY. When at the show, do come by and say hello, and get a special gift for being at the show. Photo Contest at the IHF show. The International Houseboat Fest show is having a great Photo Contest and there's a Digital Camera package for the winner, along with Free tickets for the show. It's very easy to enter and best of all, it's free, so head on over and participate in the IHF Photo Contest now. 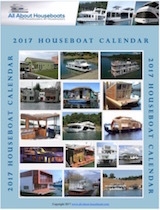 For those of you who are preparing for the Xmas season, and that are looking for the perfect gift for the houseboaters in the family, yet you don't know what to get, we may have just the thing for them. Come and Join Us at the Shows. Don't forget the two great Houseboat Shows that are coming up. They are both held in Louisville KY, and are set for early 2009. Don't wait, book your tickets now, and looking forward to seeing you there. International Houseboat Fest, in Louisville KY, on Jan 29-31, 2009. The National Houseboat Expo, in Louisville KY, on Feb 20-22, 2009. Have you already been to a houseboat show? Tell us about it here, as there may be many readers who are contemplating going, and I'm sure that they would love to read some positive feedback on the show before planning the trip. The new forums have been a great success, and thank you to all that have contributed or posted. It's amazing some of the excellent questions and comments that we receive from our readers and visitors. It's nice to see the forums are truly a "Help, and be Helped" central. You can now easily Search, Find, Read, and Share your Thoughts, Ideas, Comments, Tips, and Articles, which in turn can help you, and the websites other visitors and readers. Go ahead, and give the Forums a try and see for yourself how easy it is. Top 10 Reasons why to buy New Houseboats, with a Manufacturers listing, House Boat Show dates, and with great Reader Tips. Houseboat News and Articles about House Boats from around the World. Rebuilding a steel hull houseboat. 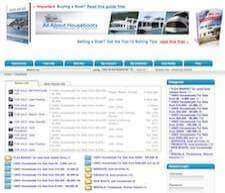 Specs on building an aluminum pontoon houseboat. Construction of pontoon houseboat, details, and pictures. Questions about a Redneck Houseboat situation?